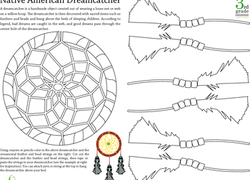 Dive into Native American history with your third grader! 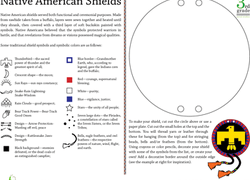 He'll get an introduction to Native American symbols and tradition as he colors his own shield. Get to know the 50 U.S. states with a fun series of postcards! Young geographers can colour these cards as they learn a bit about each state. Each of our 50 states is unique in its own way! Learn about the U.S. states with this set of postcards to colour. Flag garlands, blackboard globes, and chi chi sticks are just a few of the projects in this globe-trotting week's worth of learning. Greetings, from the great United States! Help your budding geographer learn his 50 states with these fun postcards. Can your little geographer name all 50 U.S. states? Help him review the states with a fun set of state postcards to colour. Learn a bit about local history of the 50 states with these postcards. Your child can colour in these cards as he learns his states. Learn all about local history of the 50 states with these vintage style postcards of the U.S. states. This one features the state of Wyoming! Colour your own vintage state postcards with this fun geography series! Your child will learn a bit of culture and history about each state as he colors. Get acquainted with our 50 great states with a set of vintage state postcards, ready to colour! 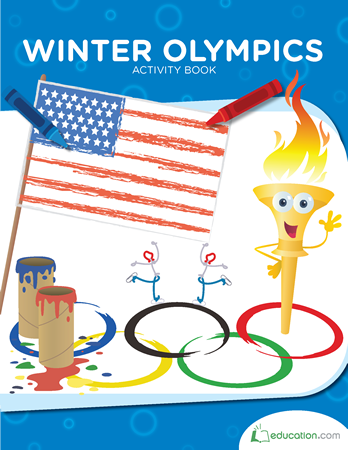 Your child will learn fun facts about each state as she colors. Want to make a Day of the Dead skull this year, but don't actually want to, you know, make one? Try this paper version of a sugar skull! Can your child name all 50 states? Help her master U.S. geography with some fun postcards that she can colour herself! Get a taste of local history and culture for each of the 50 U.S. states! Kids can learn some fun facts about each state as they colour these vintage postcards. How well do you know your 50 U.S. states? Enjoy a fun coloring activity to help your child learn her states, and some fun facts about them as well. Learn all about the thaumatrope, one of the earliest versions of a moving picture, with this fun worksheet and paper project! Can your child name all 50 states? Here's a fun way to review your U.S. geography with these vintage state postcards!